Keyword research is serious business now so can this tool stack up? Find out in my Keyword Researcher Pro review. When you start a business online nowadays, it is harder than it used to be. Before the Google algorithm updates ( the zoo – Panda- penguin- hummingbird and kestrel) you could produce articles with keyword stuffing and get ranked highly. Google found out about this and felt that its reputation was suffering so is even now evolving into something with almost artificial intelligence to rank pages which visitors want to read. So now if you want to get organic traffic from the search engines you need all of the help you can get. Lets find out whether Keyword Researcher Pro is a tool which can help you get to the top today? Knowing what people type into Google for a niche will give you an advantage over others. Using these exact phrases ( long tailed keywords) in article content and headlines will help you with your Search engine Optimisation (SEO). This is what Keyword Researcher Pro is very good at. quick play with the included demo project to see the capabilities of the program most will select open new project. The home screen has a main pane where you can find keywords from the main sources, Google , Amazon, You Tube and will search for related keywords – the ones you see at the bottom of the google search page, very useful. If you don’t want to see words or have a competitor, which you want to screen out, you can add these to a negative word list. There is an idea panel where if you put the singular, plural, area or date into, keyword researcher pro will add >wildcards to various phrases – some don’t make sense, but they may give you ideas to search for. A simple click on the phrase will add it to the list of searches. Once in the search panel, for the free trial you get to search A-H only, you can select whether to search letters or numbers. You can set the Google region to be searched – so for French results you can select Google.fr and have the results back in the native language – a very useful feature for non English sites. The results have no search volume at this stage and you have to export them into your Google Adwords account to get the volumes, at first I thought it was a bit of a pain. But reflecting on it – especially with the different languages, using your Google Adwords will return the results from your region. One thing I thought was missing was a competition column, but from what I gather the ‘new way of writing’ is to just produce information your readers want – so going after keywords with high volumes is something to do. There used to be a column for this but it was removed. So you now have a massive list of keywords, you can search for terms. 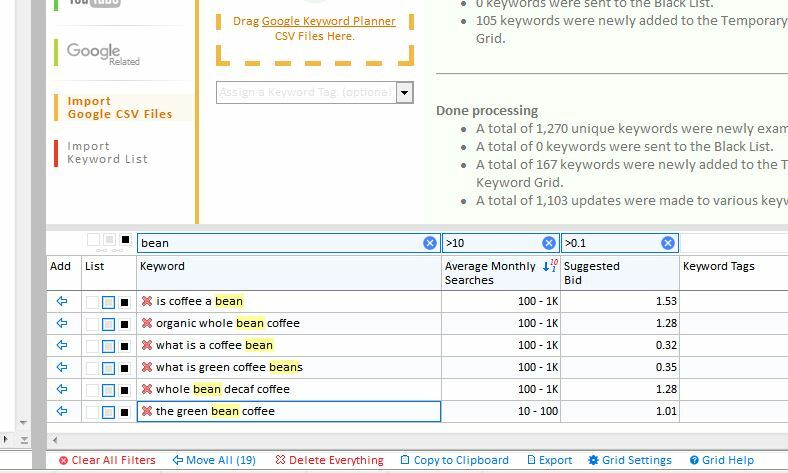 I did a general search for coffee * and * coffee and got 1344 search terms, after getting the Adwords volume for these terms – you have to get only 700 terms at a time for exporting, keyword researcher pro has a menu for this. 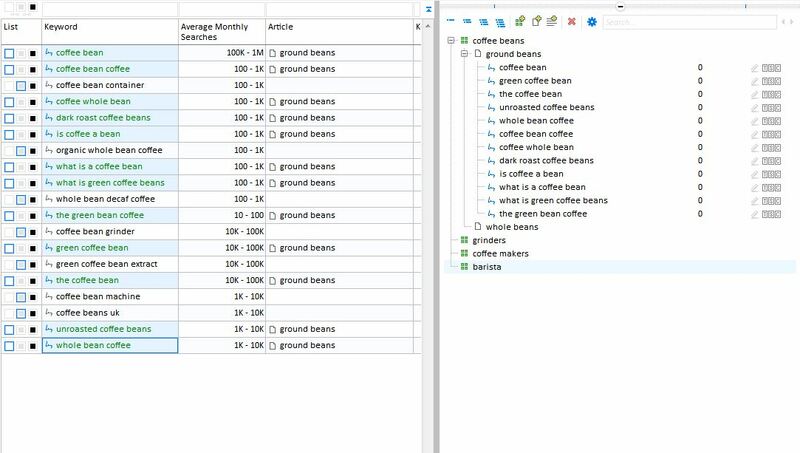 Dragging the csv file in and sorting it – I did a search for the word bean, with average monthly searches > 10k and an average bid price > 0.1. From over 1300 search terms it came down to a group of 19 keywords. These can be passed across to the project keyword panel with a single click. With a website, you need have organisation. And this is another area where keyword researcher pro excels. Opening the middle pane ( the little + in the middle at the top) you find an explorer type interface. The category name can be changed and article titles added under the categories . The project keywords can be dragged and dropped into the article to organise them. You can even add paragraphs to the articles to split where you want to use the keywords. So you can see with this structured method of working you can see at a glance what you have written about and what categories you have. Adding to the m at any time is just opening the project and right clicking to add categories or new articles. Another tab on the right hand side is labelled ‘write content’. This contains an editor with a familiar interface for anyone using WordPress. 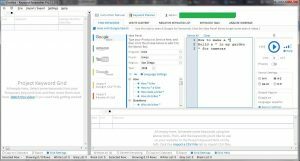 It is split into two panes to allow quick editing of the html tags or you can just use normal editor. With a list of keywords visible for your article, along with where you want them to go you can keep an eye on what you have used and have yet to use at a glance. Once the Article is Written – How do you get it to your site? If you are working on a WordPress site, and nowadays many of us are. You have the option of exporting your articles to WordPress xml file. To get them into your site is a simple import under the tools menu. So you have a complete SEO design flow from looking for your keywords, to selecting the ones you want, to setting up a category and article structure for your site, to adding keywords to the articles, to writing the articles including seeing where you placed the keywords, to getting the article onto your site. Can keyword researcher pro do any more ? It has one more tab we haven’t looked at – and that is the analyse webpage. On this tab you add the address of the page you want to analyse. Once the page is imported you can click on the keywords you are using and see at a glance whether this page has used them and where. You can see the number of times the whole phrase or partial phrase has been used, this will give you an indication of how your page will compare to it. 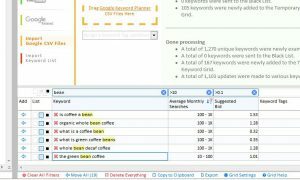 Keyword Researcher Pro review : Is it worth it? 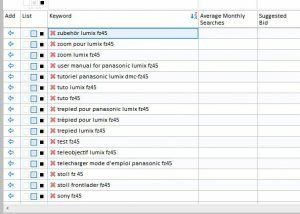 So you can see that Keyword researcher pro has an awful lot of extremely useful features for optimising your articles on your web site. If you have started your site you can setup the keywords in an article and see where you are using them, and maybe rewrite it to add a bit more SEO strength – with out keyword stuffing. This piece of software can transform the way you look at your site. Getting article ideas from the keyword panel and adding associated keywords to the article will keep your content organized. You can setup a bare template with a WordPress theme and create the whole of your content within Keyword researcher pro. Export all of the files and then import them onto your site. So for the small one off price, with lifetime upgrades and excellent help files, to me this tool is a must for people serious about getting their traffic naturally. For people who are looking for local keywords in different languages this is a must, I don’t know of many others which do this. To get the most out of this tool why not combine it with one of the best training courses about affiliate marketing. With this program you can start free, you get two free sites and combined with keyword researcher pro you will be creating fantastic, search engine optimised content in no time. Click here to find out more about this wonderful opportunity. If you know anybody else who would benefit from this tool, why not share this article with them. I hope you have enjoyed this keyword researcher pro review and if it has left you with any questions why not pop them in the comments box below. Great review of the Keyword Researcher Pro! This actually looks like a really cool tool! 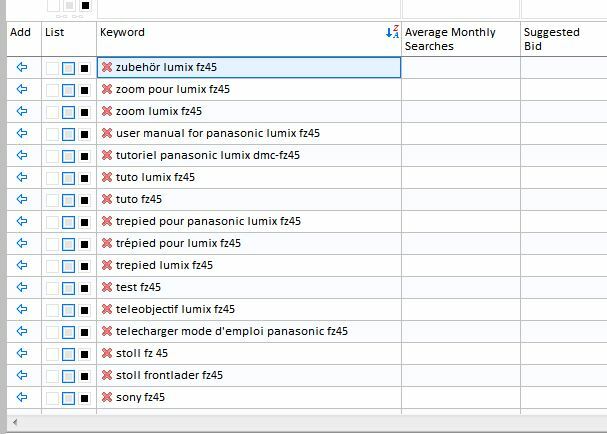 I’ve used the “alphabet soup technique” to gather keywords in the past, but it can be quite tedious having to do it manually! This tool really takes this to another level and does so much more! I think the one-off price of this of $97 is a steal and well worth it! Thanks for stopping by and taking the time to read the review John. When i found the tool i thought it was a good one, and then i explored it some more and found out what it can do and wow. For harvesting keywords using the alphabet soup technique within Google, Amazon and You tube this tool really does stand up to other higher priced monthly paid programs. I use it several times a day, leaving it to run in the background. 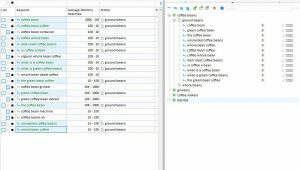 It a lerts me when it is finished and it then is an easy task of selecting the keywords i want to keep and get the rest of the data on. As it behaves like a ‘normal’ user to Google then there are no problems getting the keywords. I really think this is a program to have in the tool box to help you take your business to the next level.